There are a lot of storylines for today. Can the Eagles get revenge for the November beatdown the Saints put on them? Can Nick Foles keep working his magic? Can the Eagles keep their hot streak (4 in a row and 6 of the last 7) going? Most important, can the Eagles advance another round in the playoffs? Set all the stories aside. This is a playoff game. Survive and advance. That is the message Doug Pederson is preaching to his players. All the other angles are mostly background noise. I wrote a preview for PE.com. If you want to boil things down to the simplest level, the Eagles must win the line of scrimmage. They didn’t do that in November and the scoreboard shows that. The good news is that the Eagles are a very different team right now. The offensive line is healthy and playing really well. Just ask Aaron Donald, J.J. Watt, Ryan Kerrigan and Khalil Mack. The defensive line is playing their best football of the year. The return of Tim Jernigan has helped a lot. The Eagles finally can do something if you double Fletcher Cox. Haloti Ngata is healthy as well and contributing. Over the last month, the Eagles have the best run defense in the league. That’s not an accident. The Saints were the best team in the league this year. It takes a total team effort to beat them. The defense must make plays. The offense must sustain drives and score TDs. Your STs must do their part. Look at the three losses and you’ll see a couple of common denominators. The Saints lost the time of possession battle in each of those games. The team also had turnovers in each of the games. I wrote yesterday about how the Eagles need to play the run well. Drew Brees might be the heart and soul of the team, but you must stop their run game. If the Saints can run the ball, that makes Brees and the passing game deadly. A big part of handling the run is simply tackling well. The Eagles didn’t do that in November. That must change in today’s game. Are the Saints ready for this game? They rested players in the season finale and had last week off. In Saturday’s games, rest proved to be more of a factor than rust. We’ll see if that holds true today. The Eagles have been in playoff mode for a while so they should absolutely be ready. The Eagles don’t need to be perfect, but they cannot make the amount of mistakes they did last week. They must play a cleaner game. They must make plays when they have the chance. 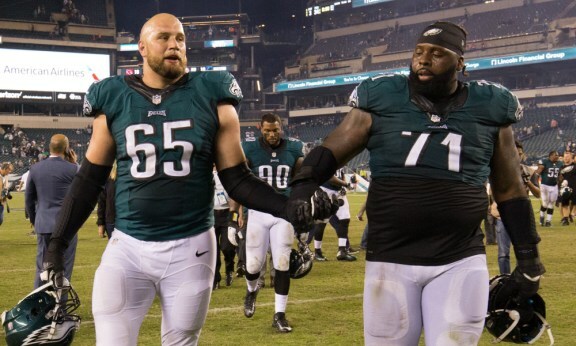 The Eagles have been winning the line of scrimmage in recent weeks. They also have been making key plays at the most opportune times. I think that continues today. Aditi is at today’s game. Did she bring some good history with her?